Among all of the things that can potentially cause erectile dysfunction, aspiring is now under scrutiny. Common, very day aspirin, categorized as an NSAID (non-steroidal anti-inflammatory drug) has been used for over a century to treat headaches, pain, prevention of heart attacks, act as a blood thinner and more. Surprising new research is suggesting a correlation between regular, low dosage aspiring use and erectile dysfunction in men aged 55 and up. The study followed 80,000 men aged between 45 and 69 and their usage of NSAIDS. 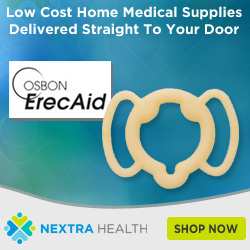 They found that men who took NSAIDS, like aspiring, three times per day were more than 2 times more likely to have erectile dysfunction compared to men who do not take it regularly. Researchers, who recently published their findings in The Journal of Urology, were actually expecting to see an opposite result, where aspisin was protecting men with heart disease from erectile dysfunction. It is known that erectile dysfunction is often closely linked to heart disease. 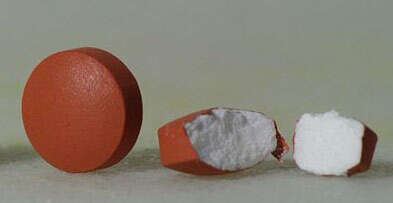 And aspirin has been proven many times to be useful in regular, low dosage to prevent heart disease or other conditions. Of course, there are many benefits of taking NSAIDS, and the study is not to suggest that men stop taking them. It is not yet clear what elements are causing the increased risk of ED among these men; more observations must be done to find an exact link. Here is an abstract of the study in the Journal of Urology.